Rajshri's latest film Hum Chaar (2019) is set to be released on 15 February, one day after the biggest draw this Valentine’s week, Ranveer Singh and Alia Bhatt’s Gully Boy. 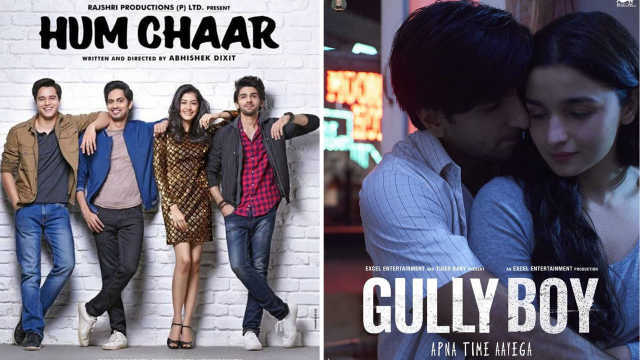 While it is patently unfair to compare a small film featuring newcomers, even if backed by a big production house, with one featuring two of the biggest box-office draws currently, the four leading members of the Hum Chaar cast are themselves keen to watch Gully Boy. Speaking to Cinestaan.com, the cast members, however, also requested cinephiles to give their film a chance. Prit Kamani, who plays Namit in Hum Chaar, disclosed how Ranveer Singh has been like a mentor to him. Kamani and Ranveer Singh were both managed by YRF's talent wing and that is when he got to know the man who is currently Hindi cinema's fastest rising star. Kamani and his co-artistes are just as excited about Gully Boy as they are for their own debut film. “I can’t be telling people not to watch Gully Boy," said Anshuman Malhotra. "Both films target the youth, but they are different stories. I myself will watch Gully Boy, but you have the whole week. Please watch Gully Boy and then go for Hum Chaar!" 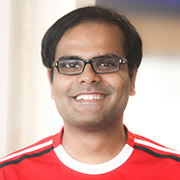 “Mate, I am really excited for Gully Boy," said Tushar Pandey. "My only request is not to judge a book by its cover. We are not competing with Gully Boy. Our film will only grow through word-of-mouth. Just try it once. I really feel it has a flavour that will touch you." Directed by Abhishek Jain, Hum Chaar is a tale of four friends who drift apart. Zoya Akhtar's Gully Boy is a tale of a street rapper who makes it it big. 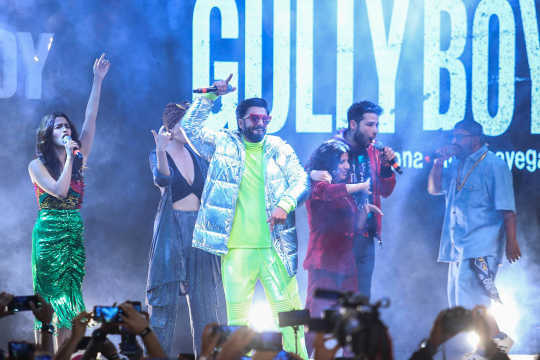 Gully Boy is said to be inspired by the lives of hip-hop artistes DIVINE and Naezy.